If you’re a lesbian over the age of 35, chances are you’re quite familiar with the travel company Olivia. For all you baby dykes out there who haven’t heard of Judy Dlugacz and her nearly 40 years as fearless leader of this amazing organization, I’m here to tell you why you never want to travel with any other company. Ever. And a whole slew of commedians (including Suzanne Westenhoeffer), and strong, amazing women who stood up for our rights and won. Okay, so maybe we could take a tiny break from getting our base tan on and listen to what these ladies had to offer… (sarcasm intended). 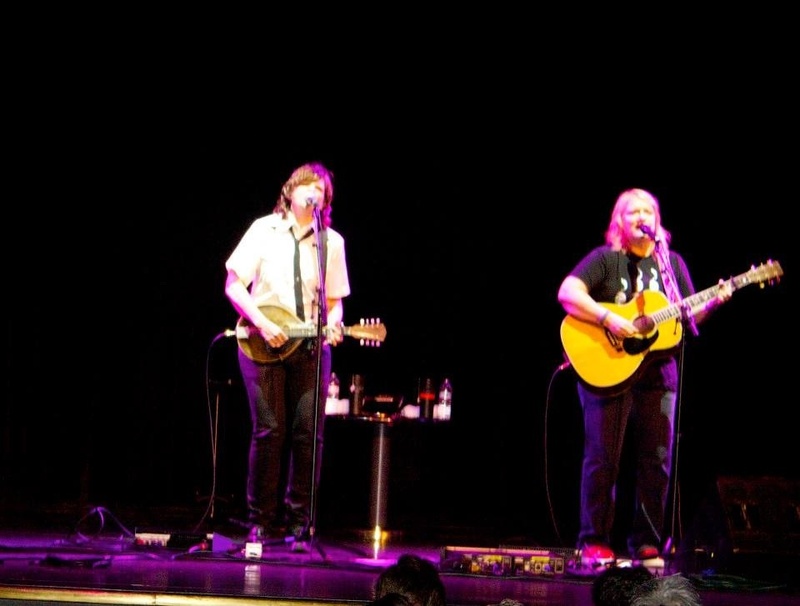 The Indigo Girls blew my freakin mind. My mother, though certainly not a lesbian, used to play Swap Ophelia every day in the car when we were kids. I grew up on Emily and Amy. To be 28 years old and finally see them live, in such an intimate venue, was kind of a gay girl’s dream come true. Also, on a side note, Amy Ray still has some serious swag. Obviously, the leadership and sheer estrogen power on this boat was beyond unbelievable. I could have gone my entire life and not been surrounded by so much good in the world. But then, there was the unscheduled stuff…. 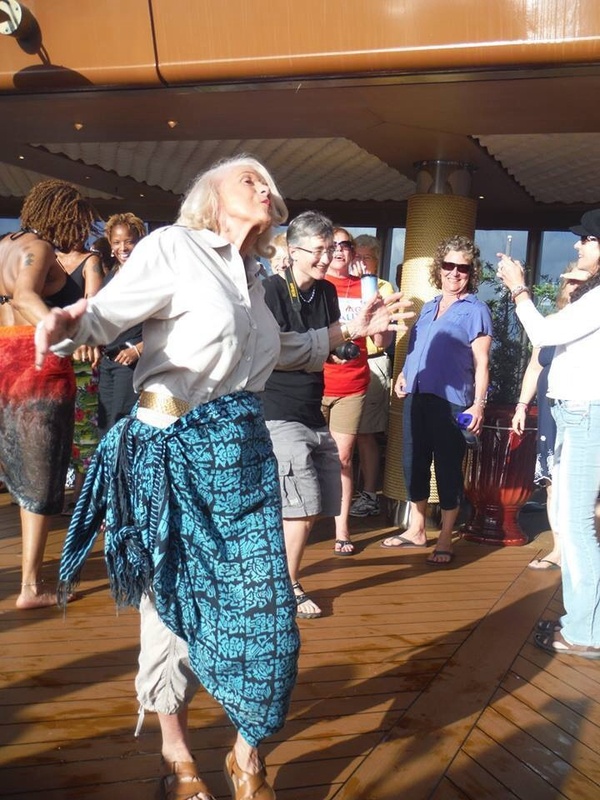 Don’t underestimate the healing that comes from being at sea with 2,000 other lesbians. Sure, it’s 2014. DOMA is dog meat. Our President is the first to actually speak out for LGBT rights. Hell, even Arizona didn’t succumb to the right wing hate propoganda being thrown at it. But that doesn’t mean we couldn’t all seriously benefit from the insane sense of community that comes from a vacation of only women. 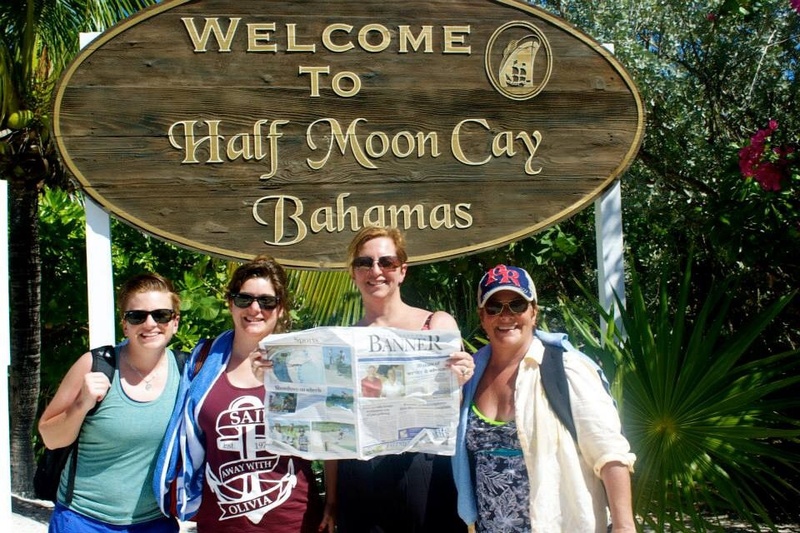 The destinations were spot on– Grand Turk, St. John, St. Thomas, San Juan, and Holland America’s personal island Half Moon Cay. But the real highlights for me were on the boat itself. 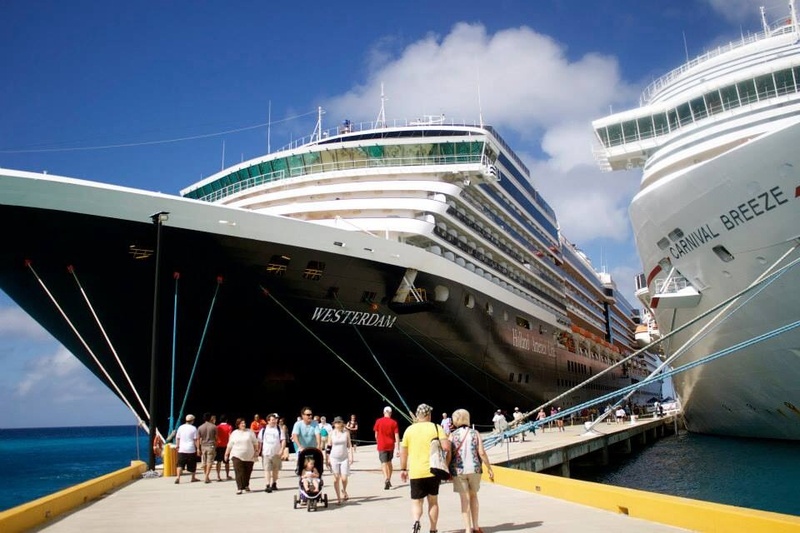 The Holland America crew provided some of the best service I’ve ever experienced… EVER. As I said to Jess, if any one of them were at all hesitant about serving a ship full of queers for a week, you’d never know it. Every single crew member, from the Captain down to the house keepers, were always on. There wasn’t a sour face among them– and that’s saying A LOT considering there were hundreds of staffers on the MS Westerdam. On our very last night, Holland America’s Cruise Director (not at all affiliated with Olivia, or in need of supporting LGBT rights) got on the mic and announced how honored he was to be in the presence of so many strong and corageous women. I teared up…For like… the tenth time that week. 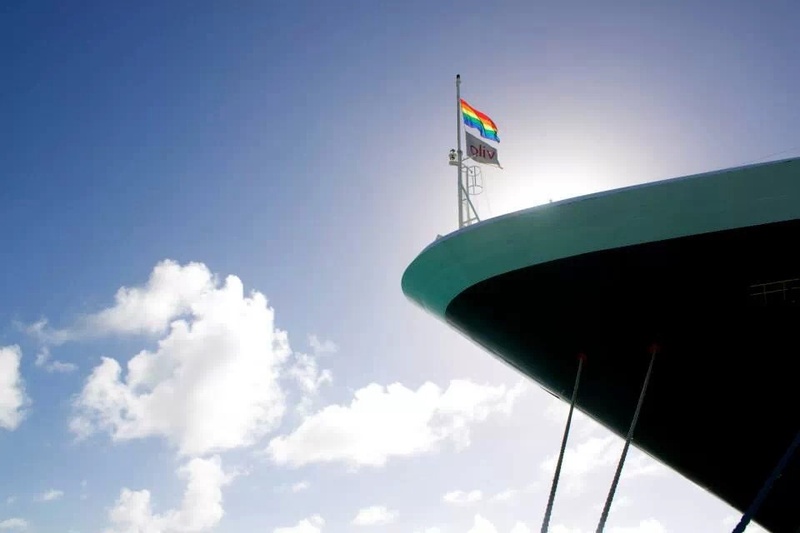 I credit Holland America for their exemplary treatment of the LGBT community. Not once did I feel judged, or different– which is sort of the point of an Olivia vacation, after all. And I even went the entire week without being called “sir,” as did many of my butchier travel counterparts. But I also have to give the biggest props of all to Judy, and the Olivia company. It was very clear from the beginning that these guys (er… ladies?) are pros at selecting vacation destinations that are not only accomodating and friendly, but are also embracing of LGBTs and allies. I can’t emphasize this enough. Anyone who’s ever been on a trip to a city or town where they felt discriminated against can understand. Many of the women on this trip were from the midwest, or the south, or even other countries where they are not allowed to be openly gay. An Olivia vacation is their one week to be completely open and out with who they are. I can’t think of anything more valuable than that. You can go on a Carnival cruise for $500, and spend your week with a bunch of families from East Bumfuck, Texas, who may or may not stare at you and your partner like you’re Jack Sparrow and his band of dirty pirates. Or, you can spend a small fortune (let’s be honest, Olivia isn’t cheap), and get a vacation where you are guarenteed not only your safety and acceptance, but also the rare oppertunity to network, bond, and grow with 2,000 plus other lesbians. Not to mention the incredible guests, events, and oppertunities you’d never get on a run of the mill Travelocity excursion. Olivia’s slogan is “feel free.” And (remember, this is coming from a beyond poor graduate student) it is worth every shiny penny to be somewhere for seven days where you can do exactly that. great article. It was quite a shock to be called sir at the Fort Lauderdale airport only an hour after getting off that cruise. I have been on the cheapo cruse before. My mom set up one so that all her kids and grandchildren could be together. While it had some good things we named it the NASCAR cruise as that was most of the fellow passengers. The other thing on the cheapo cruise is everything is added on, i.e. tips for everybody and other hidden charges that end up not as cheap as one thinks it will be while Oliva cost more but didn’t tack on extra’s. I can still close my eyes and see the blue water, and how cool was it to keep seeing Edie walking the halls or dancing on the Lido deck. Sheros everywhere you looked. Excellent article! It was a great time all around. I know I was spoiled by the time I left. Keep up the great writing! I love olivia cruises. they are totally worth the extra money. A Dapper Butch (DykeNight-Boston) Event! The First Dapper Butch Giveaway! !